This week in London I was able to go and see Macbeth at the Globe Theatre. For just five pounds one can get a spot standing in the yard. Although it is a bit arduous standing for 3 and 1/2 hours with only a 15 min intermission, the seating was very close to the stage. I had the chance to see all of the actors and action up close. 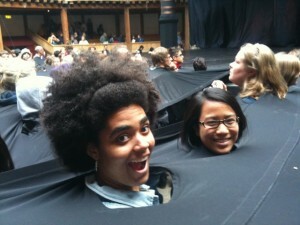 Another part of the experience of the yard was the fact that you had to sick your head into this hole in a black cloth. This set up also expanded the mood of the play and made this production more interactive. 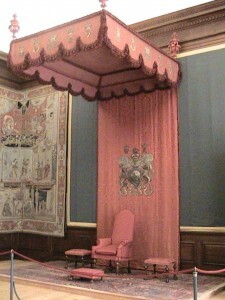 The actors entrances and exits went underneath the big cloth. And before the show and during intermission, 3 witches wandered through the audience unexpectedly touching people! The play is also very gore filled, so the actors were able to throw blood and guts right out into the audience! 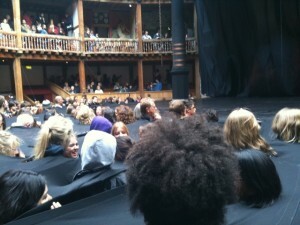 It is a bit funny looking around and seeing all the other audience members heads! 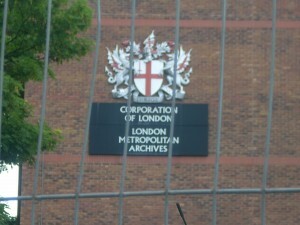 Also this week, as part of my internship, I had the chance to visit the London Metropolitan Archives. As part of a talk I am putting together I needed to research some of the Foundling Hospital’s records. This is the first time I have ever really had the chance to work with artifacts and documents that old. I looked at billet books, and apprenticeship logs that were written in the 1750s! It was really cool! Each entry pertains to the life lived by a Foundling 260 years ago, and to see their names and brief descriptions of their apprenticeship was quite a thrill! I hope that most of them left the hospital to lead happy lives. 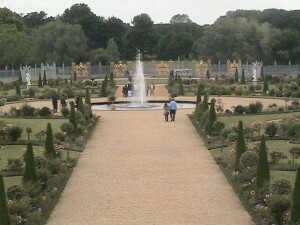 Lastly I was able to go and visit Hampton court palace. 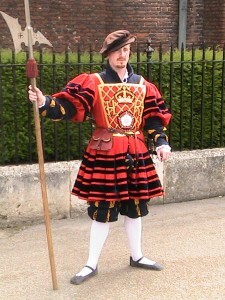 A favorite of Henry VIII, the palace had an all day long reenactment event, playing out the King’s final marriage to Catherine Parr. It is a fabulous palace, and is truly a palace, unlike the other royal residences I have toured before, which were castles. This place is the lap of luxury, a design that doesn’t revolve around surviving an external attack. It has fantastic gardens and a maze! The inside is slightly drafty, but boasts some fantastic rooms, like the high ceilinged Banquet Room. 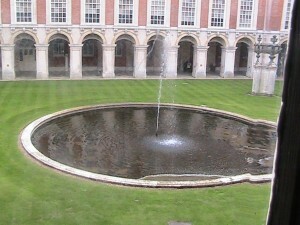 Outside there were courtyards and immaculate gardens! 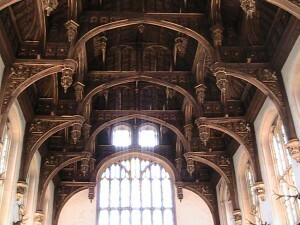 Though the palace is often associated with Henry VIII, it also was the home to later Kings and Queens. 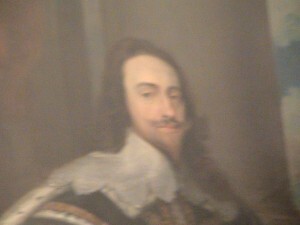 most notably, Mary II and William III. 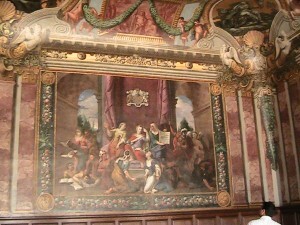 Their apartments are just as grand as the Tudor style, but had a very different style, often completely decked out with paintings. The rooms that dated from the later monarchs were very art focused, often the only unpainted parts of the room were the windows, floor, and furniture! 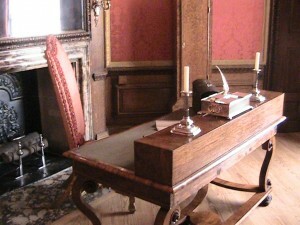 These rooms also contained a number of personal and period items, such as William III’s throne and desk. So that was pretty much the highlight of my week! Stay tuned next week for updates on the V and A museum, along with a potential visit to the Natural History Museum!